This is a short post. I promise. My training as an epidemiologist included biostatistics, and a lot of them. As one of my readers has pointed out, biostatistics is a bit of a dark art. You really need to be comfortable with it to get through it. Like a friend of ours is doing now, I had a bit of a rough time getting through statistics in college and biostatistics for my master’s degree. Epidemiologists use biostatistics to make sure, beyond a reasonable doubt, that the observations and associations you are making are not happening by chance. People who deny things that don’t happen by chance and embrace things that do are a drag on us all. Of course, I’m talking about anti-vaccine activists. Who else? Yet, statistics and physics dictates that there is a chance that anti-vaccine types are right, and that the rest of us who look at rational and reasonable explanations for the associations between vaccines and a host of diseases and conditions are wrong. However, it is a small chance. How small? Well, have you ever heard of the infinite monkey theorem? The theorem states that the universe is so vast and infinite (or that time is infinite) that a monkey randomly hitting the keys of a typewriter will surely, eventually, write the complete works of Shakespeare. Coming up to this conclusion requires some math and some imagination, a bit of a thought experiment, if you will. Just imagine the monkey typing away furiously, forever. It will type out all of the words in the English language, then it will type them in order, and then that order will eventually be the works of Shakespeare. The same can be said of anti-vaccine activists and their blogs and pamphlets, their meetings in the Cayman Islands and their books about “the truth”, and their accusations aimed at anyone who has even a small hint of an association with anyone who has a thread of a connection to anyone who lives in the vicinity of anyone who works for a pharmaceutical company and dares to vaccinate. They’re bound to get a fact right here and there, as long as they keep at it. And, trust me, they’ll keep at it. Another one of the things that anti-vaccine and alternative medicine (which is not medicine, by the way) use to justify their corrupted way of thinking is the fact that the United States is not at the bottom of the list when it comes to infant mortality rates. If you look at the headlines, the US has the highest infant mortality rate in the industrialized world. Maybe. To the anti-vaccine activists, it’s because the US has a robust vaccination program. To the alt med crowd, it’s because we rely so heavily on medicine to, you know, get cured from disease. I’m almost willing to bet that it’s because we drive too many cars to the environmental activists and because we have too many Mexicans to the anti-immigration bigots. That’s how bias works. You see something and attribute it to the thing you hate. One of the things that amazes me the most about anti-vaccine (and anti-science) people is their lack of perception when it comes to risk. One in a million chance of Guillain-Barre Syndrome from the flu vaccine? UNACCEPTABLE! One in one-thousand chance of encephalitis from measles? YEAH, I CAN LIVE WITH THAT. It makes me think that they would be really bad at playing Russian Roulette, and here’s why. Russian Roulette is a dangerous game, and I do not want anyone playing it. Got it? A six-chambered revolver is loaded with one bullet. The barrel is spun by the player. The gun is pointed to the player’s head. All things being equal, your chance of plastering your brains all over the wall and other players is one in six. One bullet, six chambers, get it? So what would you do if presented with one gun with twelve chambers and one gun with six chambers, which one would you like to play with? I don’t know about you, but I’d play with the twelve-chambered one. If the flu vaccine is as horrible as some would put it, it is at worst a one million-chambered gun with one bullet in one of those chambers. You spin the barrel, pull the trigger, and then pass it on. If you don’t blow your brains off, you then have a 60-70% chance of being protected against the flu. No, you don’t get 100% protection. The man-made flu vaccine is not 100% effective. Nothing is. But anti-vaccine activists will tell you that your chance of dying — yes, dying — from the flu vaccine are high. They won’t quote you the number so as to not reveal their ruse, but they will tell you that it’s horrible. I just don’t get it. Do they really think we’re all idiots? Don’t get an anti-vaxer to be your partner in a gunfight. Emphasis so totally not mine. Well, yes, that’s how it works. This is what we epidemiologists call a “case-control” study, and it is very robust in terms of determining whether or not things happen by chance. In short, that reduction in influenza was not by chance, and it was significant, and it was by more than a half. But let me explain it differently. The problem with looking at things in terms of percentages is that you lose sight of the magnitude of what you are looking at. If I tell you that 1% of the population of the United States has an ailment, you might think that’s not worth it to try and find a cure or prevention for it. But that 1% translates into roughly 3 million people. That’s a large city! 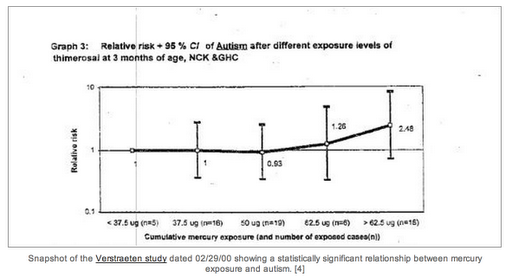 In the study cited by this particular anti-vaxer, you had a reduction in cases from 2.73% to 1.18%. Using our example of the US population, this would translate into helping 4.65 million people avoid the flu. In this person’s mind, going from 8.19 million to 4.65 million is meaningless. This person seems to be playing mind games to try and convince you that this is not a significant finding. It is, very much. It just seems small because, again, you’re looking at percentages. So don’t just look at the percentages. Look a the whole picture. Even a reduction in disease burden of 1% or 2% is huge when it comes to saving lives and maintaining productivity.